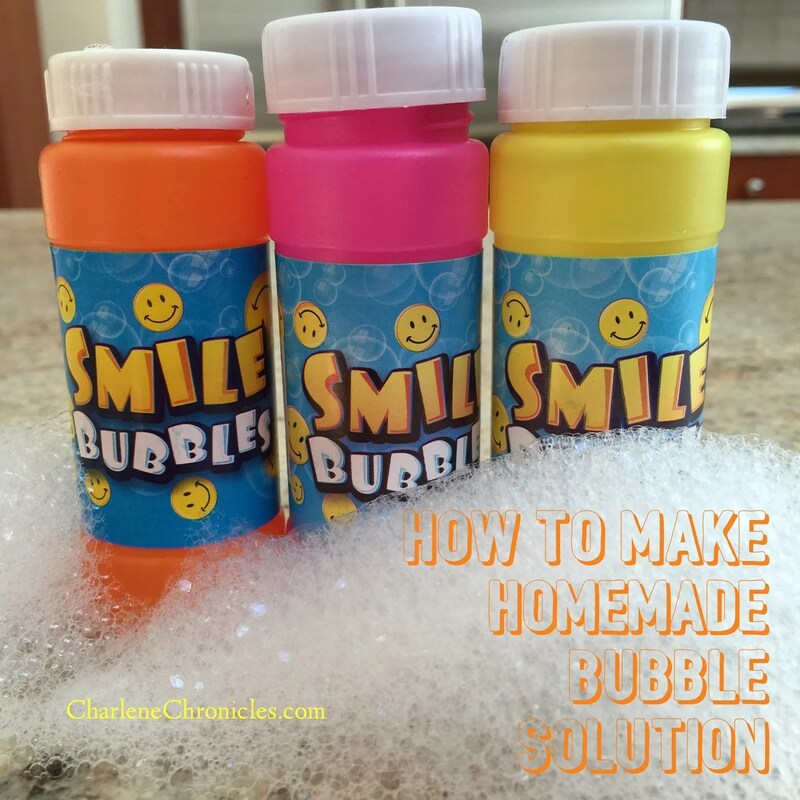 If you are looking to make your own Homemade Bubble Solution, your own Homemade Bubble Solution without glycerin, Homemade Bubble Solution with Corn Syrup and even your own Homemade Bubble Wands to make bubbles of all sizes, including GIANT Bubbles, keep reading! Once you have your homemade bubble solution of your choice, the next thing to do is determine how you want to blow your bubbles. Tie a length of string together to make a circle. Dip into the bubble solution (best if it is in a pan vs. a bowl) and then blow! Use a straw. Just touch the tip in the solution and then blow through the straw. Use a slotted spatula or spoon to blow your bubbles! Just dip it into a pan and then blow. Try a mesh strainer and see what kind of bubbles you get. Use heavy wire to fashion a bubble wand with a circle on one end. Share your bubble tips and then check out this post with some bubble toy ideas!